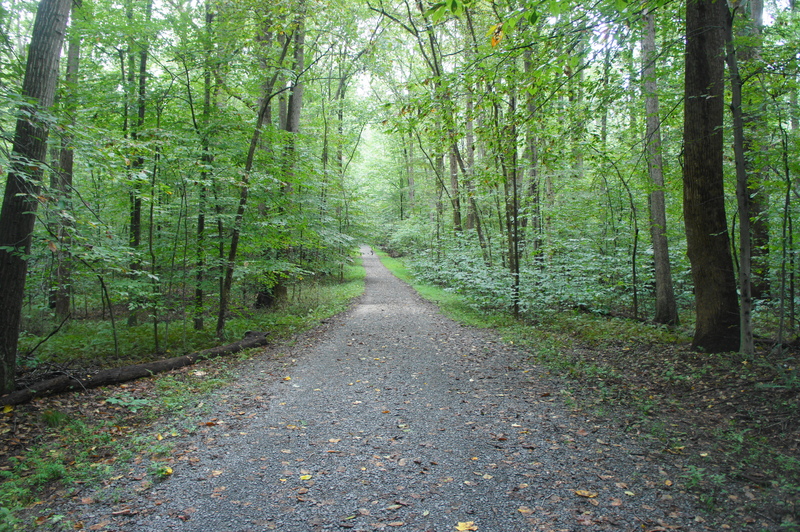 The Riverbend Road Trail is easily the least interesting of the hikes in northern Virginia’s Great Falls Park and is largely out of the way of the other trails in the park. Those seeking to conquer every trail in the area, however, may find some charms in this short, out-and-back jaunt. 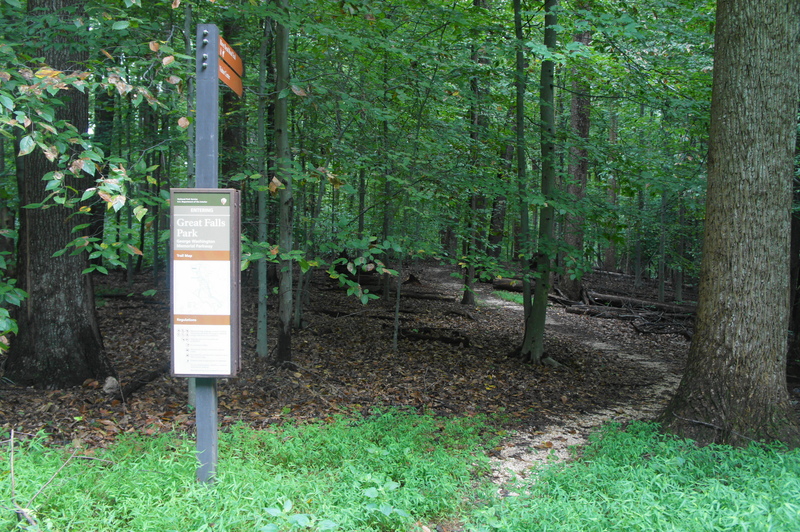 Situated in the park’s northwest corner, the single-track trail weaves through woods and across a perennial stream, connecting the parking area north of the Visitor Center with Riverbend Road. Bear left on the narrowing footpath, which starts by descending steadily to a wooded floodplain dotted with oaks, maples, chestnuts, and the occasional beech. Roughly 4/10 mile from the start, hikers will cross a small, muddy stream, then climb again to another floodplain. 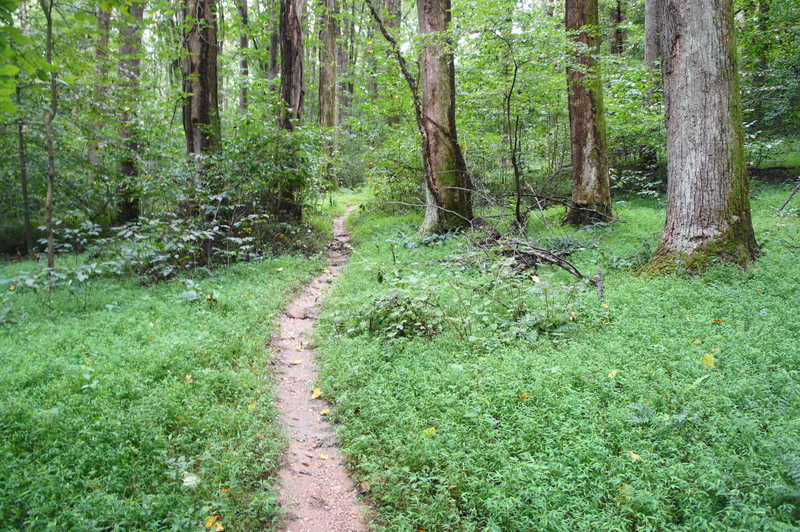 Patches of verdant undergrowth are interspersed with relatively barren earth as the trail bobs up and down, bearing west toward the edge of the park. The trail climbs out of the woods suddenly at about the 7/10-mile mark, running under a set of power lines and approaching Riverbend Road, the terminus of the short path. 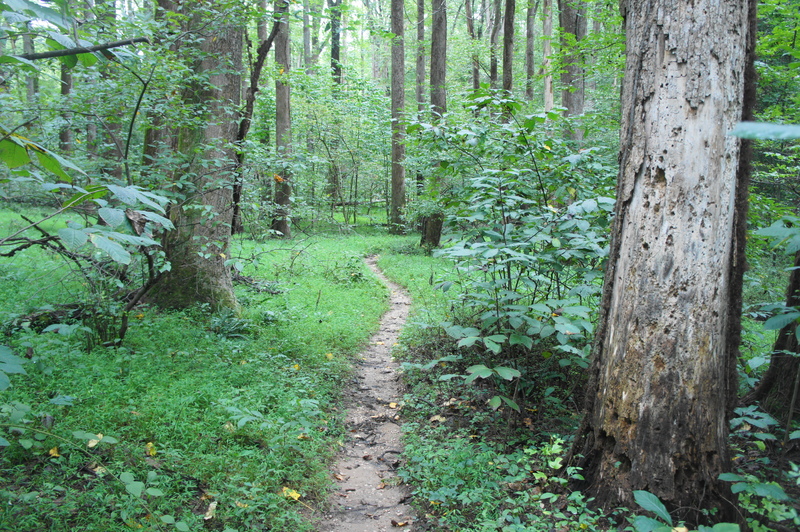 From this point, return the way you came, or venture south on the lovely Mine Run Trail. If completing just the out-and-back, plan for a little less than an hour of hiking. This entry was posted in Easy Hikes, Great Falls Park, Virginia and tagged Great Falls, Great Falls Park, Riverbend Road Trail, Virginia. Bookmark the permalink.